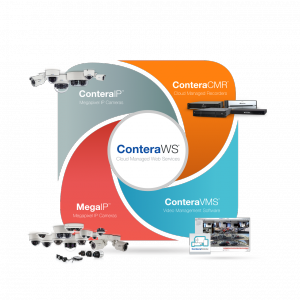 LAS VEGAS, NV, USA, April 8, 2019 /EINPresswire.com/ -- Arecont Vision Costar, the leader in network-based video surveillance solutions, will reveal multiple new MegaIP™ and ConteraIP™ single- and multi-sensor megapixel cameras and the latest release of the ConteraVMS® cloud-enabled video management system. These newest offerings are all part of the company’s Total Video Solution and will be on display in the Costar Technologies, Inc. booth (#8045) at ISC West 2019. The expo will be held at the Sands Convention Center, Las Vegas, Nevada, from April 10th through the 12th. The SurroundVideo® Omni SX will be revealed as the newest member of the MegaIP series. The Omni SX builds on the global success of the Omni G2 by delivering improved image quality and further enhanced product reliability. Both 12 and 20MP models will feature True Day/Night capabilities for indoor/outdoor usage, including Advanced Wide Dynamic Range (WDR) for varied lighting conditions and NightView™ for strong low-light performance. Built-in SNAPstream™ technology reduces bandwidth without sacrificing image quality from each Omni SX model. The 4-sensor, user-configurable Omni SX camera series features the customer’s choice of remote focus lens options ranging from 2.1 to 16mm. The MegaDome® EX and MegaView® EX dome and bullet cameras to be unveiled at ISC West are the first Arecont Vision Costar models to include Advanced Video Analytics. Each EX model will be available as either a 1080p or 5MP choice and include True/Day night capabilities with integrated IR (infrared) illuminators for use indoors or out. Each includes a motorized varifocal lens for rapid focusing during setup and offers the full suite of powerful Arecont Vision Costar single-sensor camera capabilities. These include a SDXC card slot for onboard storage, Advanced WDR, H.265/H.264/MJPEG encoder, and advanced SNAPstream+™ technology. Version 1.7 is the latest release, adding additional capabilities and enhancements that benefit not just the users of the ConteraVMS software itself, but also those leveraging ConteraWS® Web Services, ConteraCMR® Cloud-Managed Recorders, and the ConteraMobile™ smartphone and tablet apps. 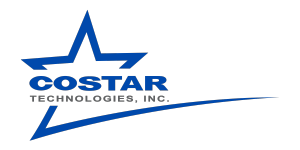 Visit the Costar Technologies, Inc. booth (#8045) at ISC West to see these exciting new and updated additions to the Arecont Vision Costar Total Video Solution™. CohuHD Costar and Costar Video Systems will also be displaying new products and will join with Arecont Vision Costar personnel in answering any questions attendees may have.